A father-of-three who offered to take a friend home the morning after a night out has been hit with a hefty bill as he was caught drink-driving. 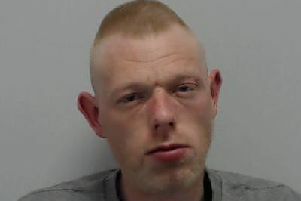 Aidan Fizsimmons, 35, of Meadow Cross Gardens, Lowton, blew a positive breath test when the Mercedes he was driving was stopped on Sunday, March 17. Wigan and Leigh Magistrates’ Court heard police officers stopped the vehicle on Bridge Street, Golborne, at 9.20am due to the manner in which it was being driven. Tests showed he had 53 microgrammes of alcohol in 100mls of breath. The legal limit is 35mgs. Fitzsimmons explained how losing his driving licence would cause difficulties, as he takes his three children to school and drives to Crewe to catch the train to London for work. Magistrates told him the offence carried a mandatory disqualification and he was banned from the roads for 12 months. That period can be reduced by 92 days if he completes a driver rehabilitation course. Fitzsimmons was also ordered to pay a £553 fine, £55 victim surcharge and £85 prosecution costs.